During Lambeth 101 & 201, Kathleen will be teaching the Old-World Joseph Lambeth Method, while modernizing with her own techniques. Basic Lambeth Techniques will be covered during Lambeth 101, with more advanced Lambeth techniques covered in Lambeth 201. 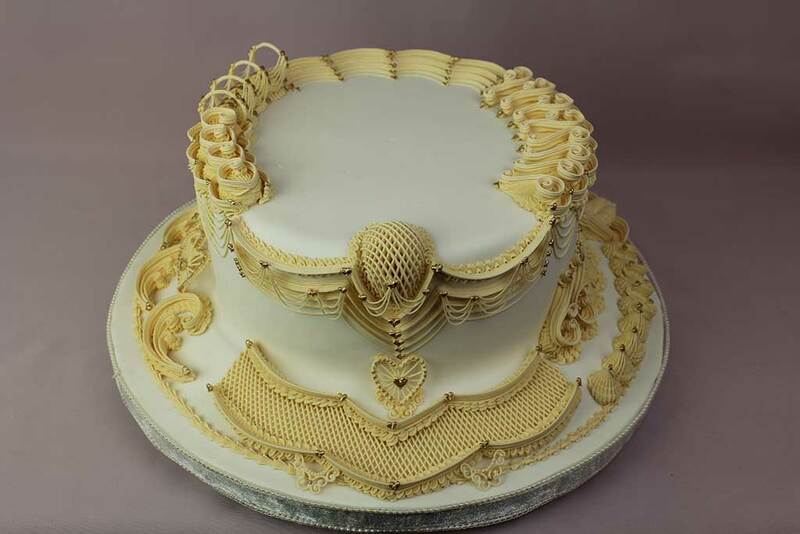 How to pipe advanced stringwork, lace heart pieces and how to apply to your cakesEach student will be completing at least four sections on their individual cake dummy, learning six to eight different borders /designs or more. Completion of all skills depends on individual students skill level.